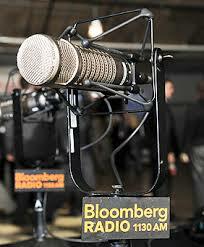 Tony Robbins, better known as a life coach and motivational speaker was a guest on Bloomberg Radio last week. With access to some of the brightest investors of this generation, Tony was able to garner four common ideas that the 50 legends he interviewed, had in common. PS Neat handmade graph coming soon that addresses item 1 ! This entry was posted in General Financial Planning, Investing/Financial Planning and tagged Bloomberg Radio, Four nuggets, investment Ideas, Tony Robbins. Bookmark the permalink.